Hi folks, my name is Gil Hova and I’m a board game designer, publisher, podcaster, and teacher living in lovely Jersey City, right across the water from New York City. I’m best known for my board game The Networks (pictured above), but you may also have gotten to try my game Wordsy, a rare word game that benefits longer words. I started designing board games in 2000, because I ultimately wanted to be a video game designer. As I researched board games, I discovered that I actually preferred them to video games, and it’s been downhill ever since. I formed my publishing company Formal Ferret Games in 2014 as a vehicle to self-publish my games, and ensure that every detail was done correctly (if not quickly! ), and I’m working on my next two releases – Bad Medicine, my first self-published game, will be re-released at the end of the year, and my new game High Rise will be on Kickstarter in February. I’m also a podcaster! I am co-host of Ludology with Geoff Engelstein, and I co-founded Breaking Into Board Games with Ian Zang and Tony Miller. My first job out of college was working in sound post-production for film, so podcast editing is something I’m pretty comfortable doing. Dirty secret about podcast editing; as you get better at it, you don’t get all that faster at it. You just wind up editing more stuff out. And yes, I am the proud owner of two ferrets; I’ve owned various ferrets for over 20 years, and I have to say they’re my favorite animals around. Thanks to Rachel and Heinze for letting me take over their wonderful webcomic for a day! Next time I do this, I hope to work more pets into the strip. We’d like to thank Gil for commissioning a comic and we’re proud to have this as our very first sponsored comic. Sponsored comics is a new thing that we’re really excited about! 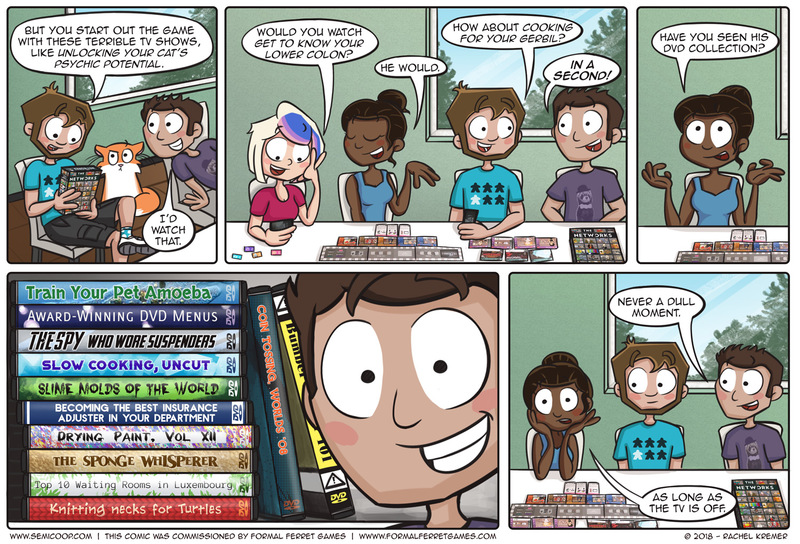 Whoever does something board game related can commission a comic which we will publish on Thursdays, so as an extra comic besides the usual weekly updates on Mondays. 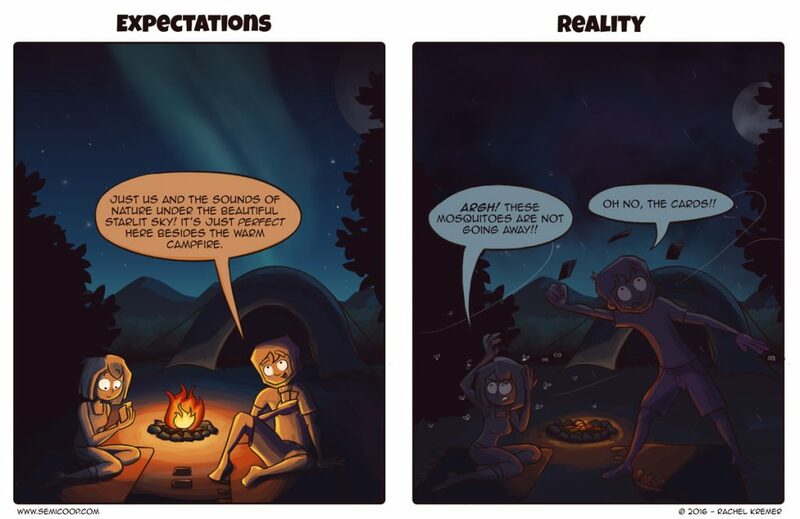 This is a way for us to make more funny comics to discover and share new games with our audience. For more info, check our Info page or send us an email or message on any social media platform. What is a show you love but everybody hates? The Networks is a game about running your own prime-time television channel, buy great programs like "How I left your father" or "Old folks complaining" and attach stars to them to attract the most viewers. The game has a great sense of humor while also being a very cool strategic game with a unique theme!